After clobbering you with gelato, chocolate, cookie butter products, sriracha-fied goodies, and incredibly fattening broccoli this month, it's time to look at something not so indulgent (i.e., boring.) And to that end, these fruit bars are perfect. If you've ever dreamed of stacking like 4 or 5 normal fruit leather bars on top of one another and then using that stack to scrape the mucilaginous seed coating off your Chia Pet, then this product's for you. They're filling, fruity, and sweet, but they're pretty heavy on the chia seeds, which makes them moderately gritty. It also makes them hearty. This little bar is more effective at curbing temporary hunger than it might look. For under a buck, it's a decent mid-day snack, and it's probably a healthier choice than, say, a Snickers bar. 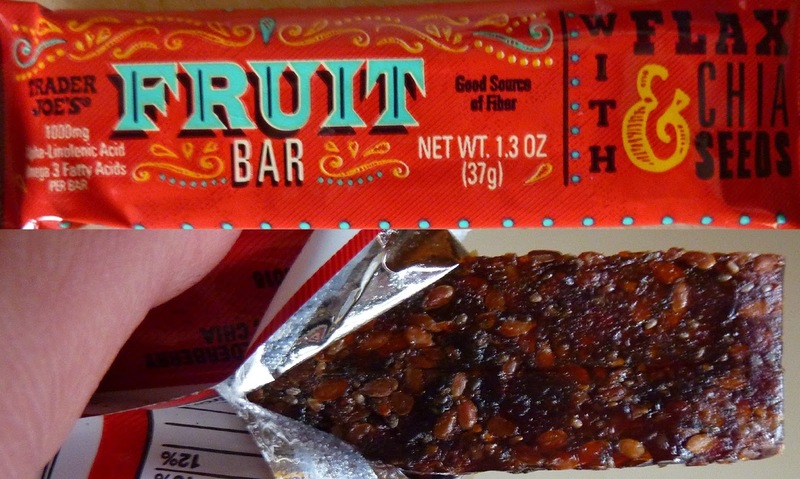 If you're a fruit bar enthusiast, definitely check these out. Though, an even less-indulgent choice with impressive flavor might be the Fruit + Fruit Bars we looked at a while back. For me, if I'm craving a fruit leather-ish snack, I'd probably reach for the smaller, cheaper (though, admittedly, less-filling) "fruit wraps." Another 3.5 from me, 4 from Sonia.